Wilhelm Ludvig Johannsen was born on February 3, 1857 in Copenhagen, Denmark. He was the son of a Danish Army officer, Otto Julius Georg Johannsen, and Anna Margarethe Dorthea Ebbson. He mastered many languages when he was still young and he passed his qualifying exams, but was unable to go to a university because his family lacked the means, so he was apprenticed to a pharmacist in 1872, For the next seven years he worked as a pharmacist in Denmark and Germany. In his spare time he studied chemistry and botany. In 1879 he returned to Denmark to work as a chemistry assistant in the Carlsberg laboratories where he did his own botany studies. In 1892 he became a lecturer and in 1902 he became a professor at the Copenhagen Agricultural College. 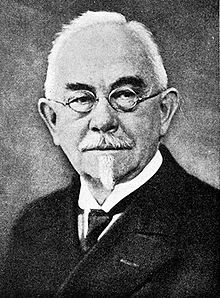 In 1905 he was appointed professor of plant physiology and in 1917 he was made rector at the University of Copenhagen. Johannsen's is best known for his genetic research. He found that there was evidence that natural selection worked in a mixed group of self-fertilizing plants but not individual self-fertilizing plants. This means that in a group of plants that produce genetically identical offspring natural selection selects for some of the plants but individual plants that produce genetically identical offspring are not effected by natural selection and the only differences in offspring are due to environmental factors. This evidence seemed contradict Charles Darwin's theory of evolution, because according to Darwin natural selection gradually changes organisms to better fit their environment. With our modern knowledge of the function of DNA in cells this result makes sense, because we know genetic variation is the result of mutation. In addition to his research Johannesen was a prolific writer. His genetic textbooks were the most influential of their time. He coined the words "gene", "genotype" and "phenotype". Johannsen was awarded several honorary doctorates, but was appointed professor without having an academically earned doctorate. He was elected to the Danish Royal Academy of Science. He died on November 11, 1927 in Copenhagen.